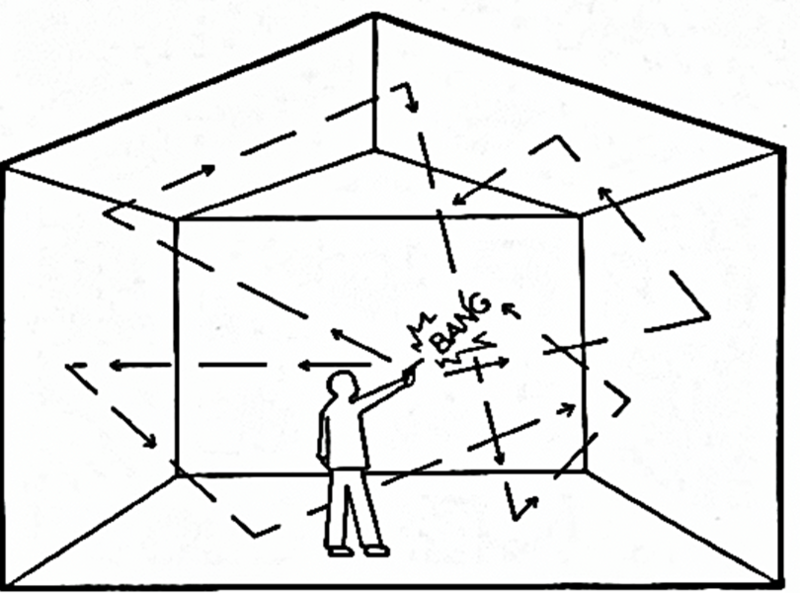 A room’s reverberation refers to the amount of time it takes for sound to dissipate, or decay, in a given space. A high reverberation time indicates that the given space does not absorb sound well and that the unabsorbed sound waves continuously reflecting off of the hard surfaces are resulting in an echo. A room with a low reverberation time, on the other hand, absorbs sound waves quickly and effectively, resulting in optimal sound quality. RT-60 is an acoustical measurement used to calculate how long it takes a room’s reverb time (RT) to decay 60 decibels (dB).